Ategra's Cloud computing is a broad new term which refers to Information Technology resources that are delivered as a service, over the Internet. 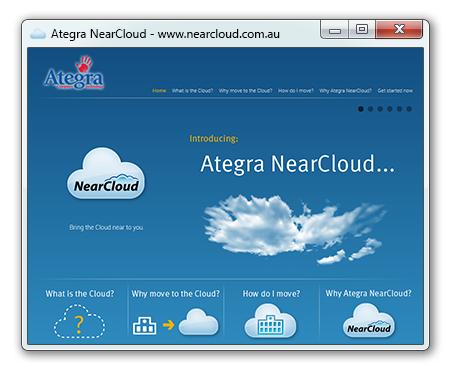 The Ategra NearCloud is a state of the art, tailored, IT-as-a-Service solution which provides business with many advantages over traditional on-premise IT infrastructure and management. Whether you're after some basic hardware or a complete infrastructure refresh, Ategra can provide the solution that best fits your needs. We maintain solid business partnerships with the industry’s leading IT vendors and distributors so you benefit from our close relationships and large-scale buying power to receive great value on hardware and software purchases. Know that we will answer any computer support & maintenance questions you have so you clearly understand. You will not be made to feel uncomfortable by our team of IT support experts with unfamiliar technical jargon. 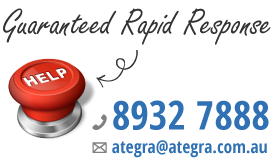 Contact Ategra's professional advice team and get immediate support. Wireless network refers to any type of computer network that is not connected by cables of any kind. It is a method by which homes, telecommunications networks and enterprise (business) installations avoid the costly process of introducing cables into a building, or as a connection between various equipment locations. The full benefits of email communication & collaboration, integrated in a smart & secure solution based on a powerful mail server for business. Ategra's high-performance mail server technology is specifically built to provide you with fast & secure email communication. Ategra's Monitoring & Helpdesk Services run 365/24/7 Preventative maintenance and proactive replacement plans will help maximize your business resources by eliminating tech headaches and reducing downtime. Ategra’s Planning will identify cost-saving measures and process improvements. Ategra’s solutions and expertise builds the right IT structure for your organisation and covers the entire lifecycle of business technology needs.